We know how to create new projects, we know how to build and run our application and we know (roughly) what the content in the project.json file means. But most projects tend to either require multiple projects or are actually libraries. We can tackle both of these problems together. We are going to create and library project, and an application project. We can reference the library from the application, to see how referencing projects work. With our new project created, we can move on to something new - Libraries. Just a quick reminder that like most things tooling, the way templates will work going forward is subject to change. 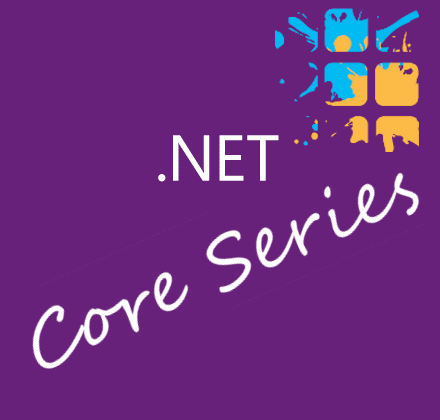 Web is obviously the ASP.NET core template, which I won't be covering in this series, and the xunittest is a test project, which is the subject of the next article. We want a Library so will use Lib. To do so we add the -t|--type <TYPE> argument to the command dotnet new. Created new C# project in C:\dev\MyProject\MyNewLib. For starters, the buildOptions value "emitEntryPoint": true is not present. This is a library, so it doesn't need an entry point. And instead of targeting the concrete framework netcoreapp1.0, we instead target the profile of netstandard1.6. I briefly covered this in the last article. Essentially netcoreapp1.0 and possibly .Net 4.6.3 are (currently) the only implementations of NETStandard version 1.6 (+ mono/Xamarin, though which versions are compatible is unknown to me). In our console app last time, we targeted a dependency Microsoft.NETCore.App. This was type platform, and declared a dependency on the runtime for our application. This time, rather than depend on a runtime, we want to depend on a compatible library version, to provide the contracts to the actual libraries, classes and methods in the framework version we declared above. That is, things like System, System.IO, System.Collections, System.Linq etc etc. As mentioned at length last time, there is a the NETStandard.Library. Our library project declares a dependency on "NETStandard.Library": "1.6.0". As discussed, this NuGet package contains the library references for all netstandard versions, so even if we were to change to target netstandard1.0 the package version stays 1.6. It gives us all of the NuGet packages for all of the system functionality that comes in the framework, by adding only a single dependency. Later on, we might want to come back, and replace this just with the packages we actually use. For now, while we start development, this gets us going quickly. The last thing missing compared to the Console application is the "imports": "dnxcore50". Because this is a compatibility measure, for now (as far as I can tell), I hope we don't need to use it with our library. But if we decide to depend on a package that was built using dnxcore, we might need to add it later. We can build our library, but of course it cannot be run - its a library. Before we can reference between the two projects, we probably need something to depend on. We can go into the file Library.cs and make a few changes. Change the namespace to match our project name for starters, MyNewLib. Our class can be called Calculator, and we can implement a simple method, Add. Now it is a bit more interesting, at least. To reference a project isn't much different to adding a dependency to a NuGet package. The main difference is that we add "target": "project" as a property. This is similar to the dependency property "type": "platform" we saw before used with Microsoft.NETCore.App. Assuming your "MyNewApp" and "MyNewLib" folders appear together in the same parent folder, that should be enough to get this thing going. Two things to note: Whenever you now build MyNewApp, it will recursively try and build the project MyNewLib. The second thing to note is that build doesn't perform a restore. You need to make sure that both projects have had dotnet restore called before trying to build the application now. Luckily, it turns out that dotnet restore can be run in the parent folder and all direct child folders with a project.json will be restored. And we will add some code to make the dependency complete. Open MyNewApp's Program.cs file and add a call to our Calculator. From the MyNewApp folder, we can now build and run our application, including the library code from MyNewLib. And we can see from the output that both projects are built and we see the correct output from our application. Project MyNewLib (.NETStandard,Version=v1.6) was previously compiled. Skipping compilation. Project MyNewApp2 (.NETCoreApp,Version=v1.0) was previously compiled. Skipping compilation. Of course, we don't just want to build and ship code, we want to test it actually works. Next time we will create a test project, and write some tests against our library code above.